Do you need the perfect working blog post schedule, bonus if it comes with a easy to follow template? Are you stuck trying to grow your blog? Can someone just give you a step by step plan so you’re not floundering around anymore and chasing every shiny object? Sure! I can! I’m Suzi, a mom of three gorgeous little kids, and I’ve built my blog into a huge success, payed off our mortgage entirely and allowed us to become FI before our oldest even goes to kindergarten. And no, this did not happen overnight, it took a lot of work, early mornings, late nights and long weekends. But it payed off and has been completely life changing. One of the biggest reasons why I was able to grow my blog into a success was a relentless laser focus and a plan. A month by month blog schedule that kept me focused and working towards my goal. Below is the plan I followed at a high level to grow my blog from $0 to over $9,000 per month in its first year. In a year I replaced my engineering salary. In a year I worked in every spare moment I had and built a business. In a year I changed our lives forever. Just imagine how much your life can change in a year from now. Maybe you won’t get to $9,000 per month, maybe you’ll go higher, maybe you’ll only get to $2,000 per month. But by golly, that covers most people’s mortgage! There are multiple methods to grow a money making blog. This is what worked for me and I know this plan has worked for others too. If you’re serious and want to change your life, you can join my free 12 Month Blog Plan course. Grow your blog to a huge success. Over 32,000 students are enrolled in the course. You’re joining a movement. You can go through this blogging schedule at your own pace. You may move a bit faster or a bit slower – and that’s fine! Progress is progress no matter how small. Also, keep in mind many of these activities are ongoing. You may start pinning to Pinterest in month two, but it doesn’t end there, it’s an ongoing activity. With that, let’s get into the 12 month blog plan! What is a Smart Blog Post? Before you start writing post after post after post, I want you to have a purpose behind each blog post. The more you blog, the more you’ll realize that there are a lot of goals you want to hit. Grow your traffic, build your email list, make money, etc. Each blog post that you write should have a dedicated purpose. To help you, I’ve covered a few of the basic smart blog posts below. These types of blog posts are a part of the 12 Month Blog Plan, and like a recipe, I’ve laid out which ones you need to write each month in the Editorial Calendar template. Now, let’s start your blog and grow it to a full time income! The goal of your first month blogging is to get everything set up. Get familiar with the vocabulary of blogging, setup and customize your site and do research. Take this time to learn and be a beginner. It’s okay! Enjoy being new and don’t be afraid to ask for help. We all start with a blank blog and work our way up. Embrace that you’re starting a new journey. Use the 12 month blog plan to keep you focused and organized. Research niche and market & brainstorm ideas. Create a freebie based on your market research. Don’t know how? Here is how you can create printables easily! Research affiliate programs in your niche. In your second month, I encourage you to write three solid pillar posts. Now that you’ve done some research, you should have an idea of what your audience’s key problems are. Write in depth, amazingly helpful articles helping your audience overcome those problems. Additionally, don’t be afraid to learn the basics of SEO early on. I don’t want you to spend months writing blog posts that aren’t structured correctly. Even if you just know a bit of the essentials, that will give you a good foundation! Write 3 pillar posts based on market research. Use the fill in the Blank templates provided in the Blog by Number course. Add affiliate links to your pillar posts – the Amazon Affiliate course has great tips on this! In the beginning few months of blogging, focus on creating great content, growing your email list and promoting your posts. Don’t worry too much about making money yet, that will come. Once you have a solid blog, an engaged email list and traffic – it is easy to monetize. The hardest part about blogging is not making money, it’s consistently creating great content. So focus on that first. The money will come. Promote your pillar posts on Facebook and Pinterest. Learn everything you can about Pinterest. Create a roundup post of the best products for your niche. You’re four months in now, congrats! Most beginning bloggers give up around month three. Don’t give up. You can do this. The first few months of blogging is the hardest, but every blog post you write is another brick in the foundation of your business. Continue to write super helpful blog posts and add content upgrades to each post to build your list. 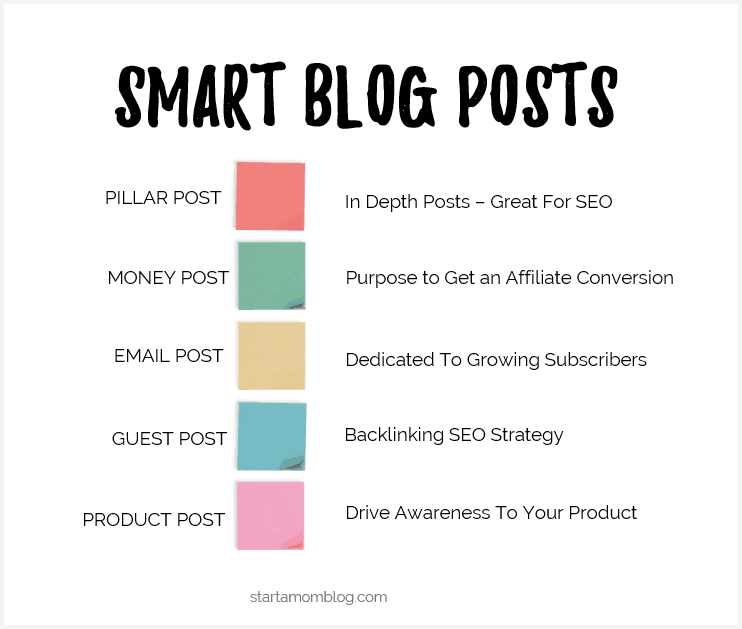 In the Blog Plan I’ve included which types of smart posts you should be writing each month to grow your blog. Join Facebook & Pinterest groups and network with members – use the Blog by Number course for extensive lists of groups to join. Now that you’ve been writing for a few months, continue to focus on building your email list and growing your traffic. Like I’ve said before, the more engaged your list and the more traffic you get, the easier it will be to monetize. The money will come, but laying a solid foundation and building an engaged email list is the *key* to your success! Let’s get serious about increasing your SEO rankings. As a brand new blogger, it’s hard to boost your Google rankings because your blog is still only a few months old. So yes, it will take some time for your blog to age and look legitimate to Google, but don’t let that stop you from working on strategies to increase your SEO. The best way to boost your Google rankings is by getting backlinks from more authoritative sites. And guest posting is a fantastic method to gain solid backlinks. Email List, What’s Your Biggest Struggle? Depending on your niche, you may experience a bit of a summer traffic slump. Don’t worry! Your audience may just be out enjoying the summer holidays and not reading blog posts. For some bloggers, the summer could be their highest traffic month. If you’re experiencing a lack of confidence or motivation, create your own small mastermind of fellow bloggers and keep each other accountable. Continue to posts consistently on your blog, engage with your email list and guest post to boost your SEO. Create a small mastermind group and help each other grow. Continue to guest post. You’ve been blogging for eight months now, by this time you should have a very solid understanding of your audience. You should also know how you can best serve them. Brainstorm a printable, ebook or course idea that can improve the lives of your readers. Run the idea by your list and get their feedback. Take their answers and outline your product idea. Oooh, this is exciting! You’re about to create a product and launch it! Don’t be intimated, this is your first product. It’s okay if it’s small. Make it amazing, super helpful and beautiful. And then offer it for a ridiculously affordable price. This is not only to build your confidence and get sales, but it’s also to build your brand and let your readers know you’re in it to help them! Analyze your content on Pinterest – create more of what is performing well. Take this month to create your product. You can ask a friend or another blogger to guest post on your site so you can free up a bit of time to work on your project. If you need help, here are my best time management tips for moms! I encourage you to write blog posts that build awareness of your product. So that when you launch it, your readers are already familiar with your expertise on the topic. This is your launch month! Every blog post you publish this month should have the purpose of building awareness to your product. It also builds trust in what you’re selling. Launching is a lot of work, so I encourage you to have a few blog posts already scheduled so you can focus on the launch. Congratulations! You’ve created and launched a product, even if it was a $9 printable pack, that is amazing! Your goal with your first product is not to make $10,000 – it is to build your confidence and the trust of your readers. Over the years I’ve created and launched dozens of products. Each launch and product builds on the one before. If you made $100 or $10,000 with your first launch, congrats, I am so proud of you for having the courage to do it! Wow! What a year! 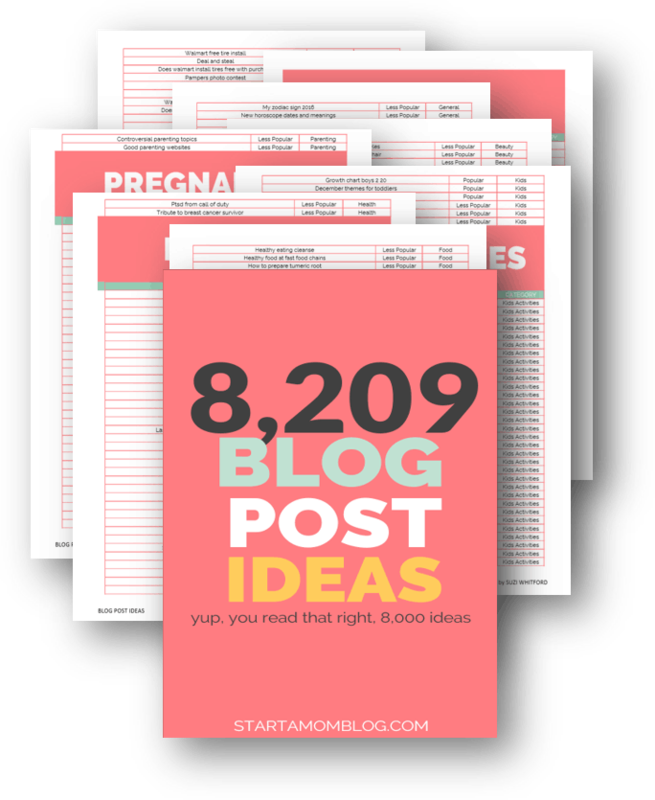 If you’ve followed the Blog Plan you’ve worked extremely hard. Building a blog, growing an email list, getting traffic, guest posting and launching a product is an enormous accomplishment! Take a few days and just reflect on all of your hard work. Make a list of what went well and what you can improve on. And put together your plan for the next year! Congratulations! 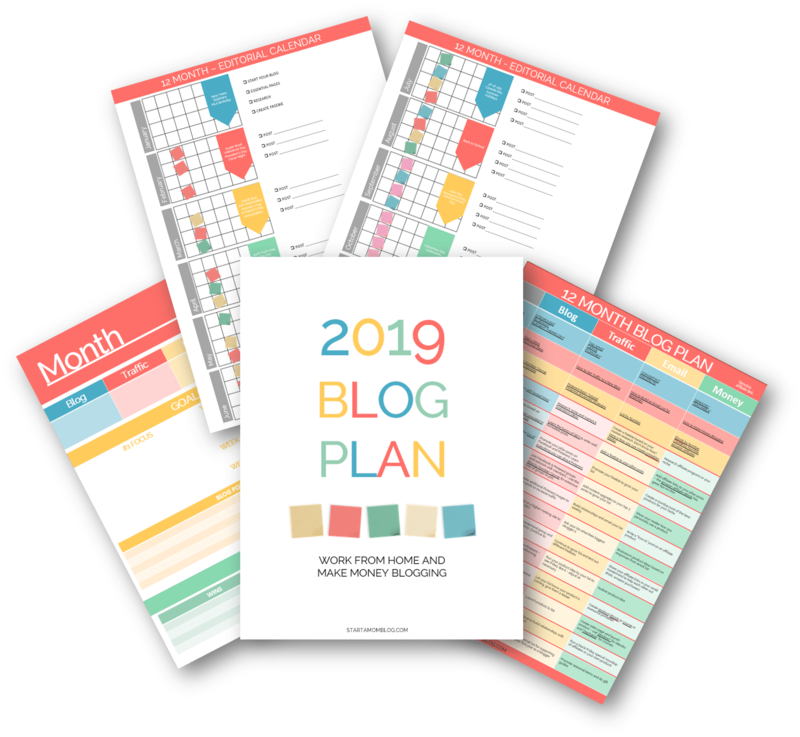 … for free in the Blog Plan course and get the 12 Month Blog Schedule Template to help you stay focused and accountable. 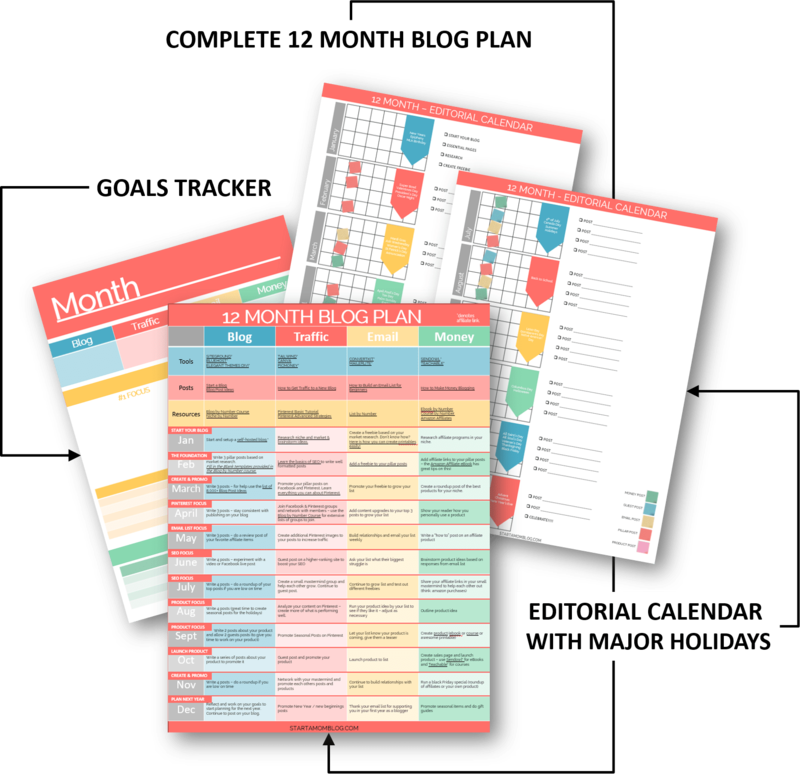 Get the 12 Month Blog Plan schedule + editorial calendar to build a successful blog. This is the plan I used to grow my blog to a full time income as a stay at home mom! I’m curious, do you follow a blog schedule or do you have a month by month plan? I’d love to know in the comments below! This is amazing. I LOVE the value you provide every single time you create a blog post or send me an email. Thank you for being here for me in my blogging journey, i am so grateful for your guidance. Thank you so much Elizabeth! I try my best to give you the best value I can! I want you to have the tools to be successful and not overwhelmed, thank you so much for the sweet comment! You made my day! 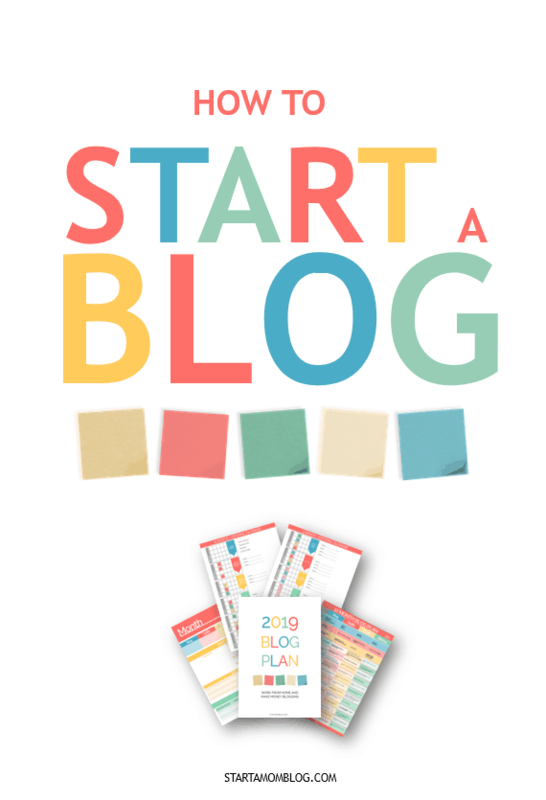 This blog planner is amazing! Thank you for all your help and training. I need help with one thing. I have the blog by numbers course and am working my way through it. I see that you have several more courses and I don’t know which one is the right next step. Do you have a list like that somewhere I just haven’t found, or can you make one? Thanks! Yes, thank you so much Britney! I know this plan will help you a ton!! Yes! This plan will be your golden guide – and I’ll be using the editorial calendar too – 🙂 Right there with you! Thank you so much for creating this planner, Suzi! It’s just what I needed – I feel like I’m all over the place and get easily distracted. This will really help me focus and get some traction. Thanks again for taking the time to put this together! Yes! That’s exactly why I created the Blog Plan – thank you Jen!! Suzi, you are the epitome of everything I want to be in a blogger! Thanks so much for going the extra mile in your posts. You’re guidance and generosity goes so far. I can’t wait to utilize this calendar. It is exactly what I needed going into the new year with a new blog!! Aww Brooke, you make my knees weak 🙂 Thank you! Suzi, I can’t even begin to express how excited I am for this updated blog plan! I’ve taken this last month to get a jumpstart on January with your previous plan and Blog By Number Course to really crush it in 2019! You’ve been such a big help to me, so much so that even reaching out in a comment is something I’ve never done. I’ve encouraged several people to take your whole bundle of courses because they’re so amazing and to show a little of my gratitude! Onward to 2019! Awww golly, thank you so so much Whitney! I appreciate your support and recommendations so much! I hope you love the new 2019 Blog Plan and that it brings you major success! Keep me updated!! Thank you for this helpful article! Starting a blog is something I’ve thought about for a few years now. Is there a way to predict how soon someone could expect to make any money? I’m sure it depends on the niche, but do you think if someone were to follow this schedule, could they expect to see some money by 6 months in? Also, if I have multiple interests/things to talk about, should I restrict my number of topics to a certain amount? Hey Andrea! Fantastic question! This plan puts you on the track to make your first $1,000 by the time you launch your product. Of course it depends on how engaged and how big your audience / email list is – but it’s definitely definitely doable! If the topics are loosely tied together, then you can talk about all of them. Just don’t go all over the board with topics that are clearly not related 🙂 Hugs! Suzi, you are heavensent! You never fail to amaze me. Thank you for your generosity. Your support is unparalleled! Oh Donna! You make me blush!! Wow! Your commitment to your work is amazing and inspiring. Thank you so much for this! I really do love this stuff – and I adore helping my readers! Suzi, thank you so, so much. I have travelled this road before, as you know, dipped my toe in several times and got stuck, due to lack of time and worry about finances etc. I’d like to encourage other bloggers like myself to keep going, and start again if you have to – as I am going to do with Suzi’s help – again! The depth and generosity of your work is astounding, Suzi, and I’m so very glad to see you continue to thrive. I am super excited about diving in and staying on task. You Rock and are so generous in all you do to help your students to be their best. I’ve been patiently waiting on the plan. 🙂 Thanks for all your hard work to provide us with this powerful tool. I was laid off from my job back in August and have no desire to return to anyone’s job. The big life change is that John is leaving his job to come home and hustle with me 🙂 Which opens us up for more travel and seeing the world!! So thank you so much for your support and kind comment. Sizing, I also want to express my gratitude for your through teaching. When I don’t know how to do something I know you will have it in your courses. Would it be possible for you to show us how to enter code in our Pinterest account to track where visitors are searching in Pinterest and our website? Thanks Suzi! Wow, amazing, Suzi! I’m sure a number of people will find this plan post very helpful. Having a plan can really make all the difference! Thank you Kim! I hope so too. It has helped me a lot! It is so easy for me to get overwhelmed with all of the blogging information that is out there! My blog has been on line for almost two years and I feel as if I have been spinning my wheels. The way you have laid out your courses and all the work that you have done to take us step through step through getting a blog going is just what I needed. Thank you so much for all the work you have put in. I love watching your videos, too, because you are the blogger that I aspire to be. Someone who invites me to be a friend and to learn together. Of all of the blogs that I have read over the years about blogging, yours is the absolute best. Thank you so much! By the way, I did receive my very first comment on my blog today from someone I don’t even know! I hope to have more than that in 2019! Hi Suzy, I’m working through your courses! I downloaded the plan template and have a question that may be obvious…but not to me. :-/ Is there a template that I can type into or print and write in? Or is it all filled out and we do our own? Sorry, can’t seem to see any links to blank forms. This is a great plan! I love having a map for the year that has so much flexibility but also so much structure! That’s hard to create. Quick question for you – do you have an opt-in at the bottom of each post or just the “e-mail posts”? Can you explain a bit more about how an e-mail post differs from the pillar posts? Thank you so much, Suzi. From reading your post, I can already tell 2019 will be a great year. I started my site around a year ago but due to lack of time and consistency, I gave up pretty quickly. I decided to take it seriously this year but I did not have a roadmap to follow so everything felt confusing and mixed up. I did not even know one needed a blogging calendar or schedule to attain success. Thank you so much Nahashon! 🙂 Make it a success this time! This is one of the smartest posts I ever come across with as I browse online for contents. The idea of having a specific focus in each phase will be very helpful. I am lucky to come across this blog post. The different kinds of posts really amaze me and suddenly have a deep thought of my own actions. I will use certainly this guide. Thank you for sharing. The information you provide is always so helpful. I found you in December 2018 and you have really helped me to get a better grasp on how to blog…even though I really have just begun.